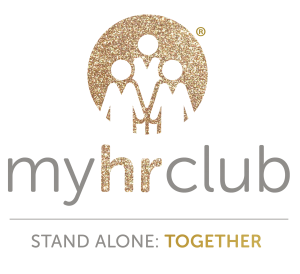 To help you with your ‘return on investment conversation’, we have put together a handy list of all the benefits for both you and your business when you become a My HR Club member. For any more information, please contact us directly on hello@myhrhub.co.uk. Join a club with like-minded people in similar role – providing support, best practice, knowledge and collaboration and helping you to enhance your credibility and value in your business. Knowledge to protect your business and to help avoid costly mistakes/Tribunals. Get to know your community and learn from the experts and industry professionals each month via Zoom. These discussions and workshops will help you to provide the expert HR advice in your business on good and best practice and ‘bringing the outside in’. Zoom and LinkedIn – A safe place to speak confidentially to get the support you need, personally and professionally. Skill Swap with your fellow club members, support them with HR matters, visit them on site and create your own sounding board. HR Coaching / Buddying delivered by professional HR coaches, to develop yourself, your skills /education and credibility in HR – getting the best out of you so you can get the best out of yourself and deliver the best HR support to your business. This can be coaching, mentoring, getting you ready for a big meeting or supporting your CIPD study. Access to amazing concessional rates across the best range of products and services on the market that have been negotiated for HR activity small businesses with the hard work being done for you! Member rewards with staff treats a discounted high street shopping with your own personal travel and holiday and Music / Sport Concert concierge. ‘Good to Go’ access to an online HR portal to access tried and tested forms and Policies- accessing current and up to date employment law information that will protect your business. Being part of a UK wide Linked in group for those working in Stand-alone roles in SME’s with HR responsibility. Bringing the outside in – connecting to businesses across the UK for collaboration, comparison and ideas that will benefit the whole business. Getting to know you – A fun club with social events and a Summer Wellbeing Retreat with club members. Invitation for your managing director to attend an annual social event for them to share, collaborate and network with likeminded managing directors.